Netflix has just released War Machine onto the streaming media waters. This movie fits into the long tradition of American media mostly puffing up our military exploits or turning them into light tragi-comedy. Brad Pitt, applying the acting style of a trimmed down George Clooney, portrays the fictional General Glen McMahon. Broadly and obviously based on the story of the real General Stanley McChrystal who took over the War in Afghanistan in June 2009 only to be ousted in June 2010 after a profile appeared in Rolling Stone Magazine revealed much foolishness and derogatory comments about President Obama and VP Biden. The movie has its comedic moments and the very broadly played General MaMahon is bound to either really annoy those enamored of the US military or fulfill the image of buffoonish generals that others may prefer. The basic frame of reference of the movie is McMahon’s ambition for his new command and his interactions with his troops and the populace of Afghanistan bounded by an incredibly stupid decision to allow a reporter for Rolling Stone Magazine to accompany him everywhere for months. That decision alone should have gotten him ejected from the brethren of Generals. 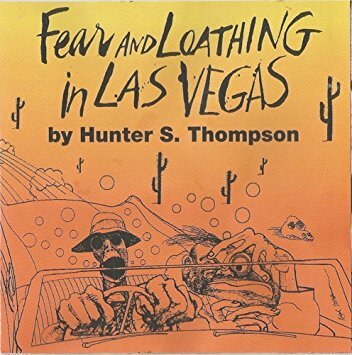 What was in his mind to invite a reporter from a magazine that invented gonzo journalism, think Hunter S. Thompson of “Fear and Loathing in Los Vegas“, to write a profile?? 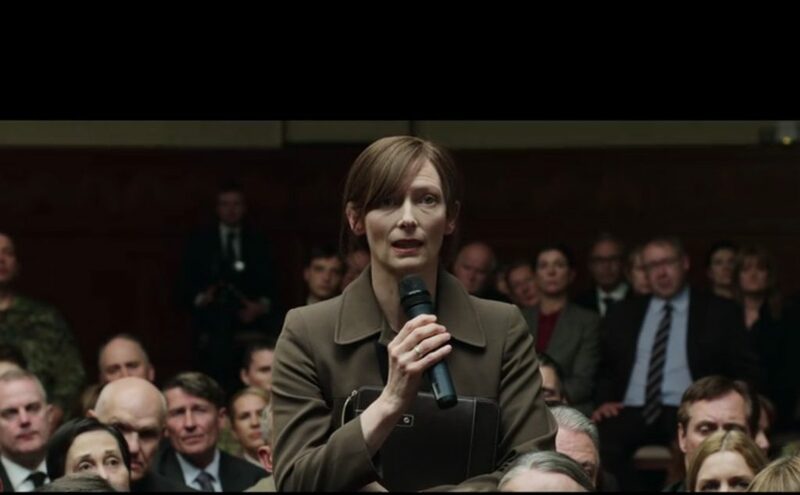 There is one scene that for four minutes shifts the point of view from the fate of McMahon and brings us close to some real comment on the War in Afghanistan and the American Empire generally. It is so striking that it is worth some examination. The scene takes place in a meeting hall somewhere in Germany with McMahon presenting on his theory of counter insurgency. He takes a question from a person in the audience. 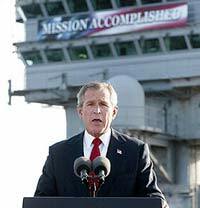 GL: General, the US invaded Afghanistan because of the al-Qaeda attacks on September 11th. This is correct, yes? GL: Your analysis of the insurgency there suggests that there is no monolithic Taliban. You are spread all over the country. You are fighting 1,000 separate battles with locals whose principal ideological position would seem to be simply that they don’t want foreign soldiers in their village. And that, General, is a war you will never win. GEN: Ah, with all due respect, ma’am, Uh, …I must beg to differ. I firmly believe, having traveled all over the country, having spoken with many people from all walks of life…that what these people want is the very same thing that you and I want. Hmmm? Freedom, security, stability, jobs. Progress is being made… Real progress… But challenges do remain. GL: Yes, I understand all of that, General. And… and, please, let me say quite sincerely that I do not question the goodness of your intent. I have been listening this morning and, uh…I believe you are a good man. I do. What I question is your belief in your power to deliver these things that you describe. I question your belief in the power of your ideals. GL: [stuttering] I think that what I am trying to say, and I apologize, general, if this is sounding impolite, but I question your sense of self. GEN: No, no, no, that’s all right. I, uh.. appreciate your, uh, commentary. I do. Um..But I have a job to do. GL: Yes, I understand. And I also have a job to do. As an elected representative of the people of Germany, it is my job to ensure that the personal ambitions of those who serve these people are kept in check. You have devoted your entire life, General, to the fighting of war. And this situation in Afghanistan, for you, is the culmination of all your years of training, all your years of ambition. This is the great moment of your life. GL: Its understandable to me that you should have, therefore, a fetish for completion to make your moment glorious. It is my job, however, to ensure that your personal ambitions are not entirely delusional and do not carry with them an unacceptable cost for everybody else. It is exactly this last sentence in the scene that encapsulates what is so wrong with War Machine. GL early in the scene gives a sound, pithy strategic analysis of the situation in Afghanistan. And McMahon responds with what has been the standard explanation for every US war for my entire 70 year life. We continue to hide behind the rhetoric of American exceptionalism1 and our destiny to bring freedom and capitalism to every corner of the earth. Or, as McMahon expresses it, “Freedom, security, stability, jobs.” The problem in Afghanistan was not, unfortunately is not, that some general or politician is too filled with delusional ambitions. The trouble is that we continue to hide behind this rhetoric of American exceptionalism. The truth is closer to the needs of the American Empire with its service to global corporations, global aspirations of our politicians, and the presence of an overwhelming military power that is dispersed nearly everywhere across every continent and every ocean. No President in my lifetime, excepting Carter perhaps, has been able to resist the lure to take out our military toys and unleash them on distant shores for either obviously malicious purposes or, at the very least, delusional, think Iraq, think Vietnam and communist dominoes, think… If only Americans could imagine the impact of foreign soldiers, armed to the teeth, even now with invisible drones, killing our families and neighbors, we might not be so surprised by the ferocious persistent resistance of the people in Afghanistan to our presence. The problem is the American people’s delusions about the costs of our empire. Every Memorial Day, really at every public event, we trot out our fallen military as though they are the only costs of the Empire. Here are a few examples of costs that are rarely mentioned in our public discourse. Beyond the body counts and wasted financial resources there are the social and political costs of the American Empire. Bush’s Iraq War created a failed state in Iraq that not only caused millions to flee but created tens of thousands of new participants in the armed insurrections that rapidly spilled out of Iraq. No one seriously doubts that the greatest recruiter for terrorist groups in the Middle East is the United States. And despite this knowledge about unexpected consequences we had a Secretary of State, Hilary Clinton, who vigorously lobbied President Obama to eliminate Col. Qaddafi in 2011. After the country fell into chaos, incessant civil war and became a haven for terrorist groups President Obama declared that not enough thought had gone into planning for the “day after”. This is astonishing from a President who had spent three year at that time trying to clean up the catastrophe of Bush’s failed campaign to “shock and awe” Iraq into becoming a stable democracy. Such is the ongoing arrogance of the American Empire. Then, there are the domestic costs of the US Empire. While all of this muscular activity may be making it safe for global capitalism and fulfilling some of our sense of destiny and duty to world order, we have a society that is rapidly becoming near Third World in its infrastructure, roads, airports, schools, and internet. Our healthcare system is twice as expensive as our developed country competitors while producing very bad results.3 Poverty especially childhood poverty remains endemic especially among African Americans and rural whites. American working class and middle class families have seen their incomes stagnate for 40 years. But, we persist in funding a gigantic global American Empire spending more than our next ten competitors on the world stage. 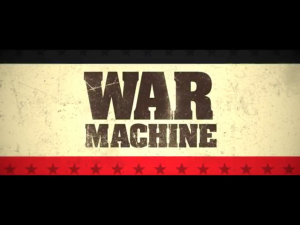 For all of these reasons War Machine is just another somewhat amusing bit of drivel from the media machine that can only distract us from the realities around us.